The Church of St Peter at Howden is a 13th-century building founded as a collegiate church. The core of the church still serves as the parish church for Howden, but the collegiate structures, including the chapter house and chancel, stand as substantial ruins beside the church. The ruins are beautifully decorated with Gothic carving. The earliest reference to Howden date to 956 AD, but there is an unsubstantiated tale that a Saxon princess named St Osana was buried here. The church at Howden became a minster because the powerful Prince Bishops of Durham established a palace here. Bishop Antony de Bec established the palace to provide an administrative centre and ceremonial building. De Bec's territory extended north to the Scottish borders, so it was useful to him to have a centre of operations well away from the turbulent border region. The Prince Bishops made Howden the centre of its own shire, which they ruled from the Norman Conquest until the Reformation. The current Minster church is mainly a 13th-century design, one of the earliest examples of the Decorated, or 'Geometric' style in England. Unlike earlier styles, the triforium and clerestory are merged into one order above the nave. Architectural historians have suggested that Howden was built by the same masons from Notre Dame in Paris who were brought to London by Henry III to complete Westminster Abbey. 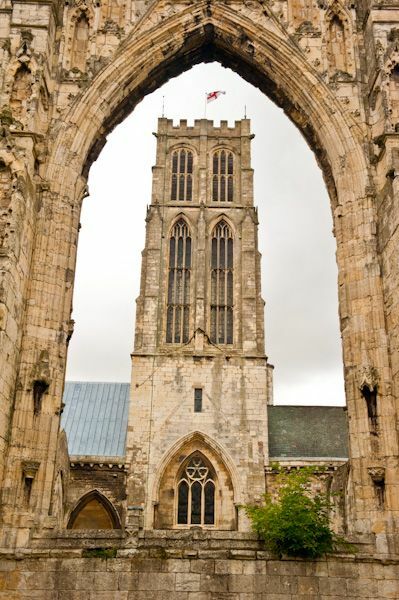 The first senior canon at the new Minster church was John of Howden, a poet and former confessor to his queen, Eleanor of Provence. 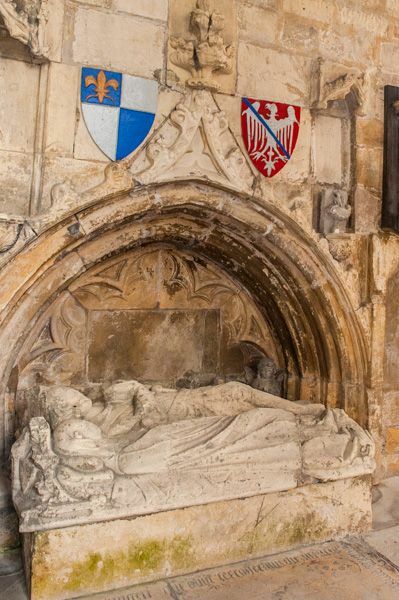 John was regarded locally as a saint, and on his death in 1275 his tomb at Howden became a popular destination for pilgrims. 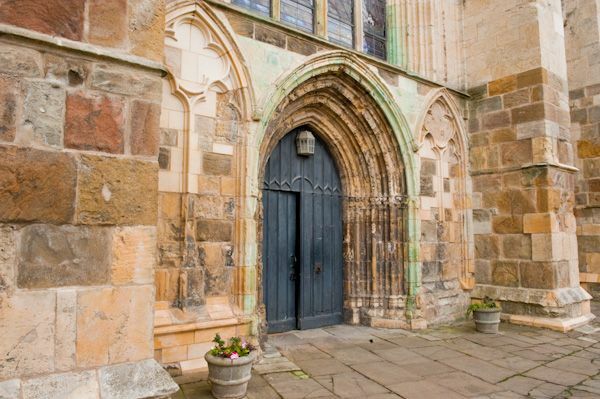 The final additions to the Minster were made by Bishop Walter Skirlaw in the early 15th century. Among these additions was a very fine chapter house. Skirlaw was followed by Thomas, Cardinal Langley, who also served as Chancellor for three successive kings of England. A grammar school was established at the Minster in 1500. Unusually, the grammar school continued after the suppression of the collegiate church under Henry VIII and it was still sending pupils to university as late as 1566. 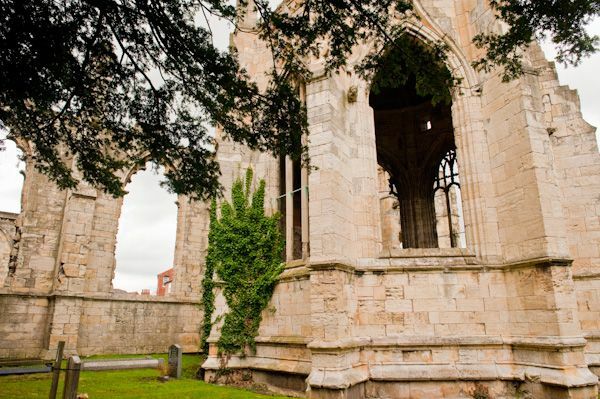 The Reformation put an end to Howden as a minster church; John of Howden's shrine was destroyed and the Prince Bishops were centred at Durham. The palace beside the Minster was left to fall into disuse and decay. The nave of the minster church was rescued from destruction to be used as the parish church by the townsfolk of Howden. The remains, including the chapter house, were left roofless and open to the elements. 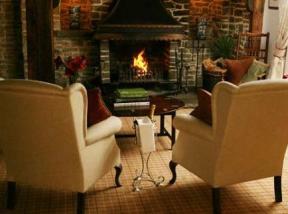 These remains are in the care of English Heritage. For safety reasons only the exterior of the minster ruins can be viewed, but the interior of the current church is open to visitors and is well worth a look. The church suffered during the Civil War when a troop of Parliamentary troops caused major damage to the choir. They broke up the organ and used the pipes as whistles for their march on nearby Wressle Castle. The choir roof finally collapsed in 1696, but that was nothing compared to the damage that occurred in 1929. Vandals broke into the church and started a fire that gutted the interior. Despite the damage caused by the fire, the interior boasts some impressive medieval remains, including a 14th-century carving of the Madonna and child, and a wonderful brass from about 1480 to an unknown knight. 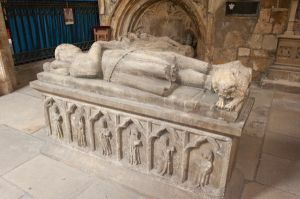 The Saltmarshe Chantry contains effigies of Sir John Metham (d. 1311) and his wife Sybell (d.1335). 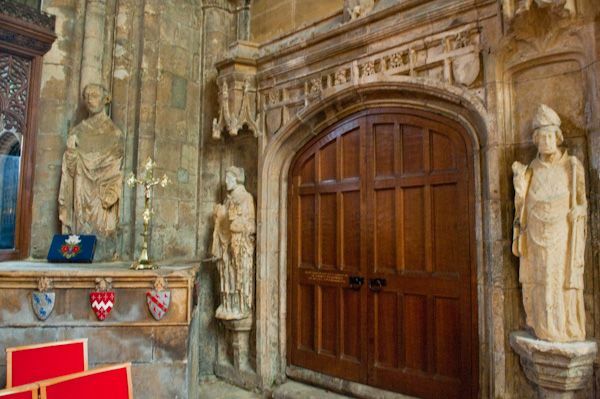 In the centre of the chantry is the tomb and effigy of Sir Peter Saltmarshe (d. 1338). Also in the chantry is a fascinating parish coffin dated 1664. 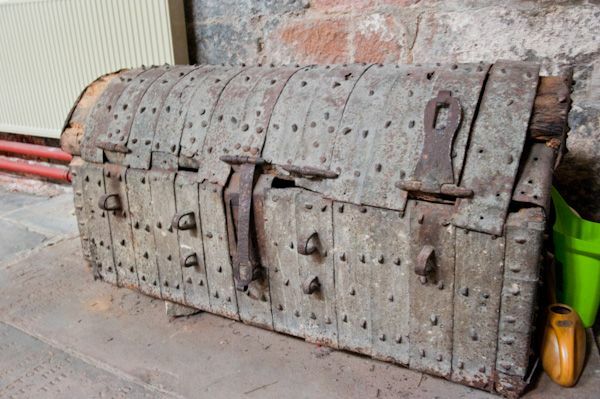 This was used to carry deceased parishioners to the churchyard, where they would be buried in a simple linen shroud. The coffin could then be reused for the next funeral. Other features of the minster church include a wonderful stone pulpitum behind the altar, dated to 1340. 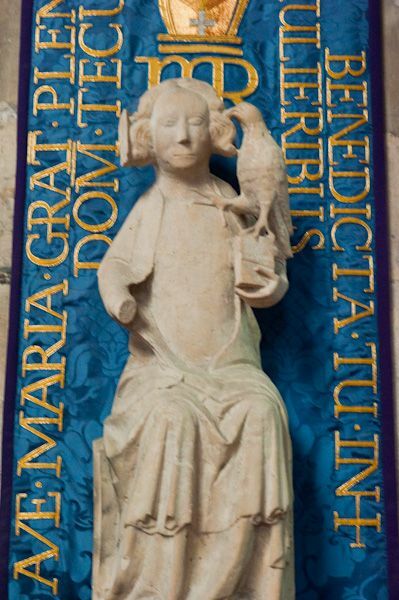 The pulpitum has medieval statues in niches, though these are not the original statues. The north aisle door is modern but the ironwork is 14th century. In the north aisle is a wooden chest carved from a single tree trunk and also dated to the 14th century. Location: Open access (chancel can be viewed only from the outside).